How you spend your first year on campus sets the tone for the rest of your college career. At the O’Neill School, our student organizations engage the community at all levels and give students the resources and tools they need to succeed during and after college. We currently offer organizations for graduate and undergraduate students, as well as students who are in a specific major. For questions on how to get involved, email oneillqa@iupui.edu. 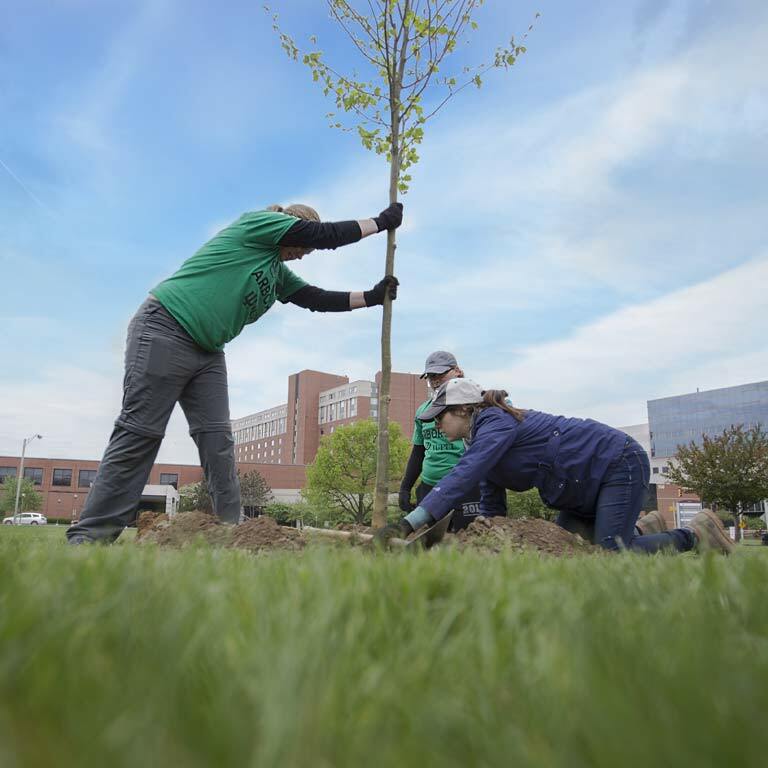 O’Neill School students collaborated with groups on campus to participate in the Arbor Day tree-planting project. 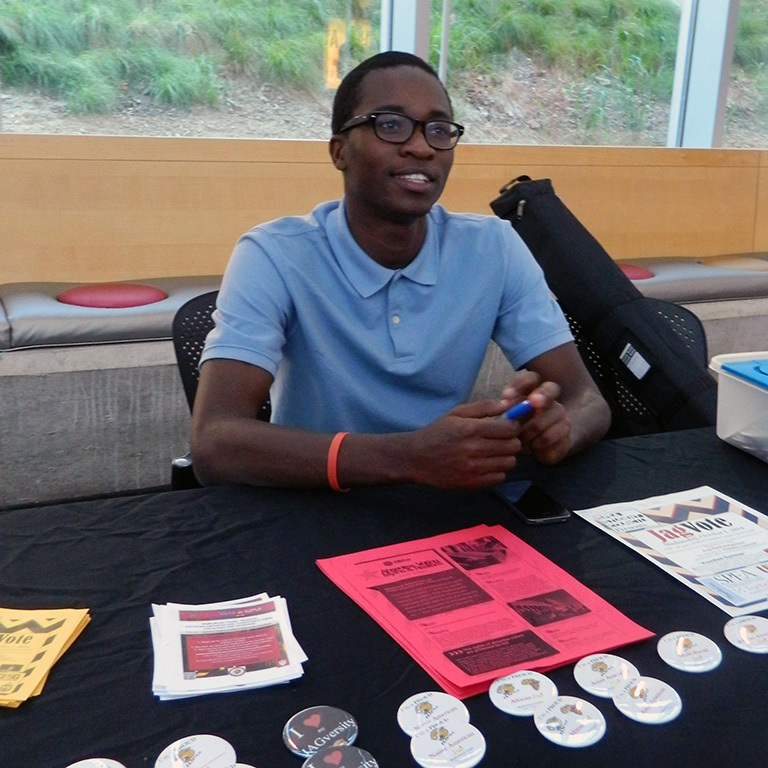 The O’Neill Student Council organized JagVote, a campuswide effort to increase voter registration. Alpha Phi Sigma is the National Criminal Justice Honor Society for criminal justice students and recognizes academic excellence among undergraduate and graduate students. Alpha Phi Sigma at IUPUI offers criminal justice students opportunities for personal and professional growth. As a member, you’ll actively volunteer within the Indianapolis community with events such as Beyond the Badge 5K Run and Walk, AUSA Capital Warrior Ten-Miler, Music Fest for MS, and the local Blue Light Ceremony. To be eligible for membership as an undergraduate, you must have declared a major or minor in a criminal justice or related field, maintain a 3.2 overall GPA and a 3.2 GPA in criminal justice courses, and have completed a minimum of four courses within the criminal justice field. You must also rank in the top 35 percent of your classes and have completed a minimum of four courses within IUPUI’s criminal justice curriculum. If you’re a graduate student, you must have completed four courses and are required to maintain a minimum of a 3.4 GPA in both criminal justice courses and overall courses. Invitations are sent out to eligible candidates in January and in June, but a qualified candidate may join Alpha Phi Sigma at any time. If you are interested in becoming a member or have questions about Alpha Phi Sigma, email oneillqa@iupui.edu. O’Neill Ambassadors at IUPUI is a student-led group that strives to promote and encourage interest in the school and its programs, organizations, students, and faculty. Ambassadors represent the school at campus and community events. To join, email Debbie Koliba. Passport is a student organization dedicated to furthering interest in studying abroad. To be eligible, you must have studied abroad in past semesters and be willing to share your experiences and educate classmates on the value of international travel. You’ll also host panel discussions, offer travel and study tips, and represent the O’Neill School at campus events. To become a member or apply for O'Neill Study Abroad, email Kristine Schuster at kschuste@iu.edu. Pi Alpha Alpha is the National Honor Society for Public Affairs and Administration. The society recognizes outstanding undergraduate and graduate students in public administration, public policy, and public affairs. Created in 2011, the chapter at IUPUI engages the community and sponsors the Heat and Meat Drive for Homeless Vets. To be eligible for membership as an undergraduate, you must have a minimum 3.0 overall GPA and a minimum 3.5 GPA in at least 15 credit hours of SPEA courses. You must either be in the last semester of your junior year or be in your senior year and be in the top 10 percent of your graduating class. To be eligible for membership as a graduate student, you must have a minimum 3.7/4.0 GPA overall. You must also have completed 50 percent of the required public administration, public policy, or sub-degree coursework (i.e., 24–30 credit hours). Alumni may become members if they meet all the requirements of student membership, even if they graduated before induction by the Indiana chapter. For questions or to join Pi Alpha Alpha, email oneillqa@iupui.edu. PASA engages all master’s and certificate students studying public affairs through social, professional networking, and community service events. All students studying public affairs automatically qualify as members. PASA also offers service events and alumni networking opportunities. For more information, email oneillqa@iupui.edu. 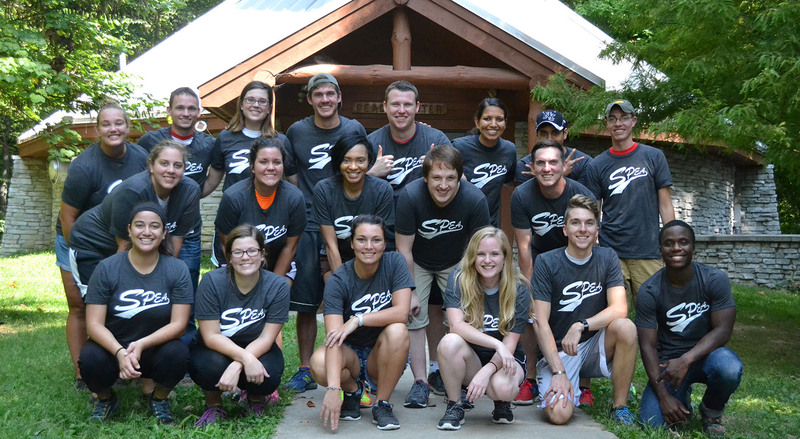 The Student Council serves as an umbrella organization for all O’Neill student organizations. The council serves as a student voice and advocate for student needs with O’Neill faculty and administrative staff.